This information is not binding on the court if incorrect or misunderstood. This information is not legal advice and is not a substitute for seeking legal advice from an attorney. If you need help in obtaining an attorney, you may contact the Legal Help Link. What does this booklet explain? What is meant by substantive rights and obligations? Who may file an action for summary possession? May actions for summary possession be brought for commercial rental agreements? What about mobile homes or mobile home lots? Are there rental agreements for which an action for summary possession may not be brought? What are the grounds for seeking summary possession? Should anything be done before filing for possession? How are the time periods mentioned computed? How does an action for possession begin? What information must the complaint contain? What happens after I fill out the papers? How are the complaint and summons served? Do I have to wait several weeks for a trial if the other party is damaging my property? What do I do if I am the defendant in an action for summary possession? Can I recover the costs of my suit from the other party? What can I do if a non-suit or default judgment is entered against me? What if I can't afford the fees to file a case or an appeal or I can't afford the costs of a bond? How does a winning plaintiff actually gain possession of the unit? What if the person evicted leaves his or her personal property in the unit? If the landlord is awarded possession of a manufactured home lot and the mobile home lot is to leased from the landlord, must the tenant remove the mobile home within 24 hours? What if the tenant does not remove the manufactured home from the lot within the required time? This booklet explains the special procedures which apply in an action to obtain possession of a rental unit, known as an action for summary possession. A summary possession action should only be filed if possession alone is sought or if both possession and money (such as back rent) are sought.If only money is sought from the other party in a landlord-tenant case (for example, the return of a security deposit), a debt action should be filed and different procedures will apply. Before filing an action for summary possession, it is important that you decide whether you want to ask the Court to give you possession of the unit. A summary may be obtained from the Consumer Protection Unit of the Attorney General's Office or a copy of the Code may be obtained by calling Legislative Council in Dover at the appropriate number listed in the blue pages of the phone book. Also, the Code is contained in any public library and on the internet at www.delaware.gov (then click Delaware Agencies; then Delaware General Assembly; then online publications; then Landlord Tenant Code). If you are a landlord or tenant of a mobile home or mobile home lot, you should also consult the Mobile Homes Lots and Leases Act (contained in Chapter 70 of Title 25 of the Delaware Code). The substantive rights and obligations of commercial landlords and tenants are usually governed by general contract law. It is also important to consult your rental agreement to determine any specific rights or duties which are included in it. Tenants of federally subsidized housing have additional rights and obligations beyond those created by State law and should check their rental agreements for further information. Information to help you with general civil procedures including the filing of a debt action (if you are seeking money only) is available on this web site. You may also wish to review the sample complaint for summary possession and the Justice of the Peace Civil Court Rules. In addition, you may visit a law library to review caselaw and other statutes which may be relevant to your case. A landlord has the obligation to supply hot water, heat, and electricity and a tenant may, if these are not supplied, after giving written notice to the landlord, seek to keep two-thirds of the daily rent for any period when these are not supplied. A tenant has the obligation to pay rent and a landlord has the right to charge a late payment (not more than 5% of the monthly rent) when rent is not paid on time, to sue for back rent and/or to seek possession of the unit for unpaid rent. A tenant has the obligation not to damage the unit and the landlord has the obligation to return the security deposit or the difference between the security deposit and the amount set forth in a list of damages within 20 days of termination of the rental agreement. If the landlord does not return the security deposit and/or a list of damages within 20 days of the termination, the tenant may seek the return of double the security deposit, but only if the tenant has provided the landlord with a forwarding address at or prior to the termination of the rental agreement. The substantive rights and obligations described above are examples of those provided by statute. Tenants and landlords also have other rights and obligations which do not relate to summary possession actions but which may be the basis of debt actions, or which, when specified in the statute, can be enforced directly without going to court. You should consult the Residential Landlord Tenant Code and/or the Mobile Homes Lots and Leases Act for further information. An action for summary possession may be filed by either a tenant who has been wrongfully put or kept out of his or her rental unit; by the next tenant of the premises whose term has begun and the former tenant refuses to leave; by a landlord; or by an owner. 25 Del.C. § 5703. The person or organization who files the action is known as the plaintiff and the person against whom the action is filed is the defendant. May Actions for summary possession be brought for for commercial rental agreement? Summary possession procedures apply to commercial, as well as to residential, rental agreements. (However, the substantive rights and obligations of landlords and tenants will be determined by the rental agreement and general contract law and not by the Residential Landlord Tenant Code or Mobile Homes Lots and Leases Act.) In addition to those actions discussed elsewhere in this booklet, landlords of commercial properties may file a distress for rent. (Distress for rent actions are not allowed for residential rental agreements.) This action permits a levy upon (i.e., a seizure, which may, or may not, include a physical removal) and sale of the tenant's goods if back rent is owed and there is reason to believe that the tenant would dispose of the goods in the absence of the levy. 25 Del.C. Ch. 63. A summary possession action may also be brought to recover possession of mobile homes and mobile home lots. 25 Del.C. § 7002(b). Summary possession actions may not be brought for the following types of rental agreements: (1) nonrenewable rental agreements of 120 days or less in certain areas of Sussex County; (2) institutional, fraternal, or hotel-type lodgings; (3) rental agreements for ground upon which improvements were made or installed by the tenant and used as a dwelling where the tenant retains ownership or title thereto, or obtains title to the improvements; (4) rentals involving mobile home parks operated by the State or the federal government on parkland owned by either; (5) rentals in mobile home parks operated solely for recreational campers or travel trailers, (6) and the rental of a recreational camper motor home, travel trailer or the rental of ground on which such a vehicle is placed. 25 Del.C. § 5102 ; 25 Del.C. § 7005.
by a tenant because the tenant has been wrongfully removed from or kept out of the unit (for example, the landlord has changed the locks and kept the tenant out of the unit without a court order permitting this). by a new tenant because the old tenant is unlawfully continuing in possession of the unit. stayed in the unit for more than 5 days after the property has been duly sold upon the foreclosure of a mortgage. Yes. A landlord of a residential unit, or of a mobile home or mobile home lot should notify the tenant in writing that the rental agreement is being terminated or, if for cause, will be terminated, if corrective action is not taken. The amount of notice which the landlord must give the tenant depends upon the reason for terminating the rental agreement and type of rental. A complaint should not be filed until the time allowed in the notice has passed and the tenant has either not paid the amount due, or stopped the violation, as appropriate. For failure to pay rent - A written demand for payment must be given or sent to the tenant before bringing an action for summary possession for failure to pay rent. The demand must inform the tenant that he or she has a specified time period after the notice was given or sent to pay the amount due, or the rental agreement will be terminated and an action for summary possession may be brought in court. Once the specified period has elapsed, a court action for possession can be filed. (a) For residential units (including manufactured homes), the time specified to make the payment must be at least 5 days after the date the notice was mailed or hand delivered. 25 Del.C. § 5502(a). For example, for a residential unit (including a manufactured home), if the notice is given Friday, August 1, the landlord must give the tenant until at least August 8 to pay the rent before filing an action for summary possession. (Weekends are excluded when a time period is less than 7 days). (b) For manufactured homes, the time specified to make the payment must be at least 7 days from the date the notice was mailed or hand delivered. 25 Del.C. § 7010A(b)(3). For violation of rules - Advance written notice specifying the rule allegedly violated and providing an opportunity for the tenant to correct rule violations must generally be given or sent to the tenant before bringing a summary possession action for violation of rules. (a) Residential units.. The notice must specify the rule allegedly violated and advise the tenant that, if the violation continues after 7 days, the landlord may terminate the rental agreement and bring an action for summary possession. The notice may also state that it is given pursuant to 25 Del.C. § 5513 and that if the tenant commits a substantially similar violation within 1 year, the landlord may rely upon such advance notice as grounds for initiating an action for summary possession. However, no advance notice is required if a breach by a tenant causes or threatens to cause irreparable harm to any person or property, or the tenant is convicted of a class A misdemeanor or felony during the term of the tenancy which caused or threatened to cause irreparable harm to any person or property. 25 Del.C. § 5513. (b) Mobile homes and mobile home lots. The notice must specify the acts or omissions constituting the violation, and advise the tenant that if the violation continues 10 days or more following receipt of the notice, the landlord may terminate the rental agreement. 25 Del.C. § 7010(d). Termination at expiration of rental agreement. Unless otherwise provided in the rental agreement, the tenant should be given or sent written notice of termination at least 60 days before the end of the rental term. If the rental agreement is for a mobile home lot only (and does not include the mobile home), in the absence of tenant misconduct, the landlord may only refuse to renew a rental agreement if there will be a change in the land use. In that situation, the landlord must follow the special notification requirements contained in 25 Del.C. § 7010(g). (Tenants of residential units must provide at least 60 days written notice of termination for residential units, mobile homes, and mobile home lots to avoid possible liability for additional rent, unless otherwise provided in the rental agreement.) 25 Del.C. § 5106 (c) (for residential units); 25 Del.C. § 7006 (b)(3) and (c)(1)) (for mobile homes and mobile home lots). For federally subsidized units, if there is any conflict in notice provisions between the Landlord-Tenant Code and any federal law, regulations, or guidelines covering subsidized units, the latter controls. For commercial rentals, notice requirements are determined by the specific rental agreement. For all the time periods mentioned in this booklet, the day of the event from which the period of time runs is not included, unless specifically stated. The last day of the period is included, unless it is a Saturday, Sunday or legal holiday. In that event, the time period will run until the end of the next day which is not a Saturday, Sunday, or legal holiday. When the period of time is less than 7 days, intermediate Saturdays, Sundays and legal holidays are not included in calculating the period of time. For example, a summary possession appeal must be filed within 5 days of the Court's judgment. If the judgment is entered on Friday granting possession to the plaintiff, the defendant has until the following Friday to file an appeal (5 days excluding the Saturday and Sunday). If a party has the right or is required to take some act within a prescribed period after service by mail, 3 days are added to the prescribed period. The action should be filed in the Justice of the Peace Court closest to the rental property. "Filing" consists of filling out and returning to the Court the necessary papers. You will need to fill out a complaint form (J.P. Civ. Form No. 1). If you are a corporation, partnership, or other "artificial entity" and do not wish to use an attorney to represent you in court, you will also need to file a Certificate of Representation (Form 50). You may obtain the Form 50 from the Court or online at the Justice of the Peace Court web site listed above. (Both forms may be filled out online, but may not be filed with the Court online. After you have filled out the complaint form (Form 1), if you are using a complaint form you obtained online, you should make four copies of the complaint and any attachments. You should retain one copy for your records and take, or mail, the original plus three copies, along with the filing fee to the Court. (If you are using a carbonized copy of the complaint supplied by the Court, you do not need to make any additional copies, other than one for your own records.) The Form 50 should be mailed with a check or money order for the required fee to the Office of the Chief Magistrate at the address listed on the form. Remember, that if the action is for money only, such as a claim for rent or return of a security deposit, a debt action, rather than a summary possession action, must be filed. However, if seeking both money and possession, a summary possession action should be filed. The complaint form (JP Civ. Form No. 1) is used for all civil complaints in the Justice of the Peace Court and, therefore, does not specify what must be contained in a summary possession action. However, the Landlord-Tenant Code (25 Del.C. § 5707) requires that certain specific information be included in a summary possession complaint. Therefore, in all complaints, the following should be included in the section of the complaint entitled "Concise Statement of the Facts." 2. A statement of the facts upon which the action is based. Example 1: "The tenant has failed to pay rent for the last two months, a written notice was sent to the tenant on September 15th, and the tenant has not paid any rent." Example 2: "The landlord changed the locks on September 15th and has unlawfully kept the tenant out of the rental unit since that date. The rent per day is $15.75 and the tenant seeks three times the amount of the rent for the period the tenant has been kept out of the unit." (25 Del.C. § 5313) for more information on tenants unlawfully kept out of a unit. 3. A statement of what the plaintiff seeks in the action (for example, possession of the unit or possession and back rent). In addition, you should be sure to include the address of the rental unit in the special space provided on the complaint a few lines below the space for the defendant's name and address. 1. The rule or provision of the rental agreement allegedly broken, the date the tenant was told of the rule, and the way in which the tenant was told about the rule (for example, handed to tenant, mailed). A copy of the rule or provision as initially provided to the tenant must be attached. 3. Facts showing a continued or recurring violation of the rule. 4. A statement of the purpose served by the rule. 5. If the rule did not exist when the tenant entered into the rental agreement, a statement that it does not work a substantial modification of the tenant's bargain, or if it does, that the tenant consented knowingly, in writing, to the rule. Unlike other actions in the Justice of the Peace Court, jury trials may be held in summary possession actions. To have a jury trial, you must be sure to check the "trial by jury" box on the complaint. Parties are particularly encouraged (though not required) to have an attorney represent them when there is a jury trial. Your action for possession will be scheduled for trial and the defendant will be served with the complaint and summoned to appear at trial. You will receive a notice in the mail giving the date and time of the trial. It may take several weeks before your trial will be held, depending on the number of cases filed in that court. To have a jury trial, a demand for a trial by jury must be made within 10 days of being served with the papers. There is no special form for this. The demand should be made by stating on a piece of paper, which includes the name of the case and its case number, that a jury trial is demanded. The demand should be signed and dated and filed with the Court. The defendant must make the demand for the jury trial within 10 days of being served with the notice of the suit. Parties are particularly encouraged (though not required) to have an attorney represent them when there is a jury trial. The defendant may file a counterclaim. A counterclaim is a claim by the defendant against the other party. For example, if the landlord is suing for possession and back rent, the tenant may file a counterclaim for the value of furniture ruined when the roof leaked if it was the landlord's responsibility to fix the roof and the landlord failed to do so. Generally, counterclaims must be filed at least 5 business days before the trial. The Justice of the Peace Court cannot award more than $15,000 on any claim or counterclaim. If more than $15,000 is sought, the counterclaim may be filed in the appropriate court within 60 days of the entry of judgment in the summary possession action. 25 Del.C. § 5711(b). Alternatively, if the counterclaimant is willing to accept an award limited to $15,000, the counterclaim may be filed in the Justice of the Peace Court. A third party action against a party who may be liable for all or part of the damages (along with, or instead of, the defendant) may be filed at least 5 days before the trial. More information on filing a counterclaim or a third party complaint is contained in the booklet How to File and Defend a Civil Claim in the Justice of the Peace Court of the State of Delaware. The booklet, How to File and Defend a Civil Action in the Justice of the Peace Court of the State of Delaware, provides general information on preparing for trial and what you may expect at trial. Also, remember, that summary possession cases may be complicated to present and the parties are encouraged to have an attorney represent them in court. A copy of the rental agreement should be brought to court. A landlord seeking possession should bring a copy of the notice of rental agreement termination which was given or sent to the tenant. Any dates that may be important to your case (for example, the date you discussed the rental, the move in date, the date the first payment of rent was made, etc.) should be noted for easy reference in court. Tenants and landlords should be sure to review the Residential Landlord-Tenant Code or Mobile Home Lots and Leases Act, as appropriate, and the rental agreement to determine whether there is anything the other party is required to do that he or she hasn't done. If it can be proven that the landlord or tenant has failed to fulfill his or her duties, this failure can be part of the other party's claim or defense. Each party (tenant and landlord) should think, in advance, about what they want and how they will explain and prove that to the judge at trial. Also, each party should think about what the other party might want and how they would respond at trial. When the Court enters judgment in the case, the Court will order the losing party to pay the court costs of the suit. However, attorneys' fees, by law, may not be awarded with regard to residential units in summary possession cases. A non-suit judgment is a judgment against a plaintiff which is entered when the plaintiff, after proper notice, fails to appear at the date and time for trial. A default judgment is a similar judgment against a defendant when the defendant fails to appear. A written request to appeal the decision must be made within 5 days after the judgment of the Justice of the Peace Court in which your case was heard. The appeal will be heard by a special panel of 3 justices of the peace which will not include the justice of the peace who originally heard the case. If the original trial was a non-jury trial, a new trial before the special panel will be held. When a new trial is held, the appeal may also include claims and counterclaims which were not raised in the original proceeding. However, to have new claims or counterclaims considered, the claimant must file, within 5 days of filing the appeal, a bill of particulars identifying the new issues which the claimant intends to raise at the hearing. Information on filing a Bill of Particulars is available in the booklet How to File and Defend a Civil Claim. The fee for an appeal of a summary possession case is $50. 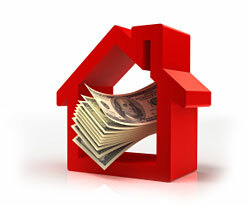 In addition to the appeal fee, a cash bond may be required to prevent eviction from taking place during the appeal. In a case in which the judge has ruled that failure of the tenant to pay the rent arose out of a good faith dispute, the tenant may usually stay all proceedings on the judgment by paying all rent due at the date of the judgment and the court costs. Alternatively, the tenant may stay the proceedings by filing a statement and such security as the Court orders that all rent and costs will be paid within 10 days of the judgment. If payment is not made within ten days, a writ of possession may be requested by plaintiff and issued by the Court. 25 Del.C. § 5716. If the defendant has appealed but has not filed a bond or assurances, the Court may issue the writ of possession upon the plaintiff's request. However, if the tenant is evicted, but is ultimately successful on appeal, the plaintiff will be responsible for reasonable cover damages for the period while the tenant was evicted from the unit (including but not limited to the costs of substitute housing and moving), plus court costs and fees. If the landlord is awarded possession of a mobile home lot and the mobile home is not leased from the landlord, must the tenant remove the mobile home within 24 hours? The Court may extend the time for removal from 24 hours to 7 days if the tenant prepays a storage fee for the mobile home to the landlord in an amount equivalent to 7 days' rent. However, the tenant may not inhabit the home after the first 24 hours of the notice period. What if the tenant does not remove the mobile home from the lot within the required time?